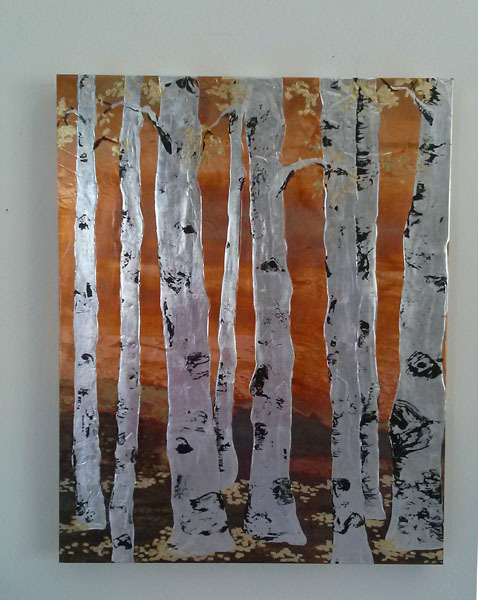 Learn the art of silver leafing creating an Aspen tree/ Silver Burch painting on genuine copper, and Gold leafing for the shimmery essence of autumn Aspen leaves along with some simple tricks to give your trees a natural look. Materials supplied to make a 11" x 14" finished piece. 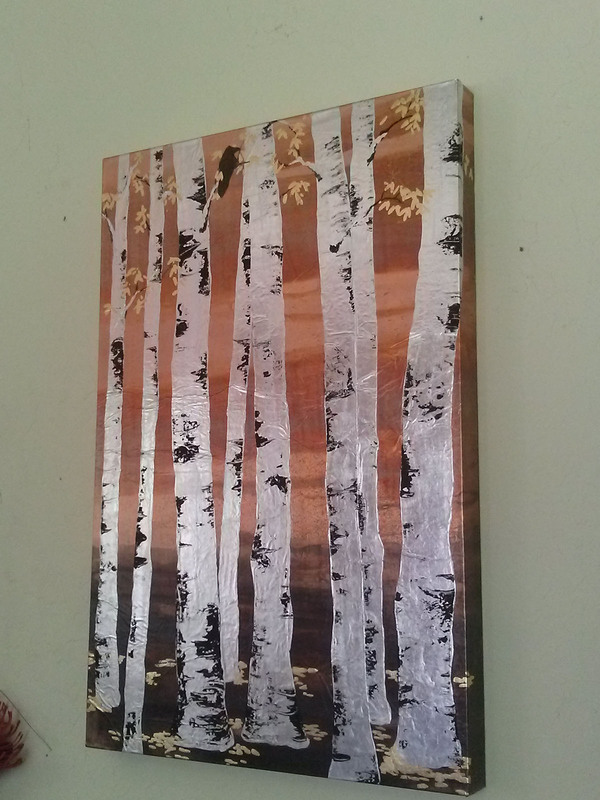 Explore reactive patina on the copper for your background, then create your trees & leaves then mount your masterpiece on wood cradle board and seal for a ready to hang piece. You may add a Raven to your composition if you choose. * Long time students at Art Unraveled might only know me as a metalsmith and Jewelry instructor but like most artists I work in many mediums for my creative expressions and for the past 12 years I have created 2D wall pieces using reactive chemicals on copper panels. These have been carried and sold by galleries throughout the South West. My style and techniques have evolved over the years, and I share some of them with you this year at Art Unraveled. To see more of this medium from me check out at AprilBower.com under 2-D artworks.